It is difficult to sense change day by day. Like they say about the weather and climate, you can’t reliably spot a trend just from what’s happening today. Contrasting the differences between the batting techniques now and those of the Nineteen Sixties – a fifty year perspective – the most significant development appears to be in the process of shot selection. Coaching manuals from every era begin their descriptions of shots with a phrase similar to, “The X shot is played to the ball pitching at Y”. The dominating ideal in batting at the time was that there was one stroke that was the correct one for each ball received. If a young person was grooved in the correct execution of the full vocabulary of shots, practiced in these with enough balls thrown or bowled to them in the right places and then able correctly to chose which shot to play they would maximize their chances of success. Today the emerging batting talent is taught a similar range of shots as a foundation but then encouraged to use each of these shots for an array of different balls. Or, putting it another way, they are bowled a similar ball and expected to play different shots to different parts of the ground. 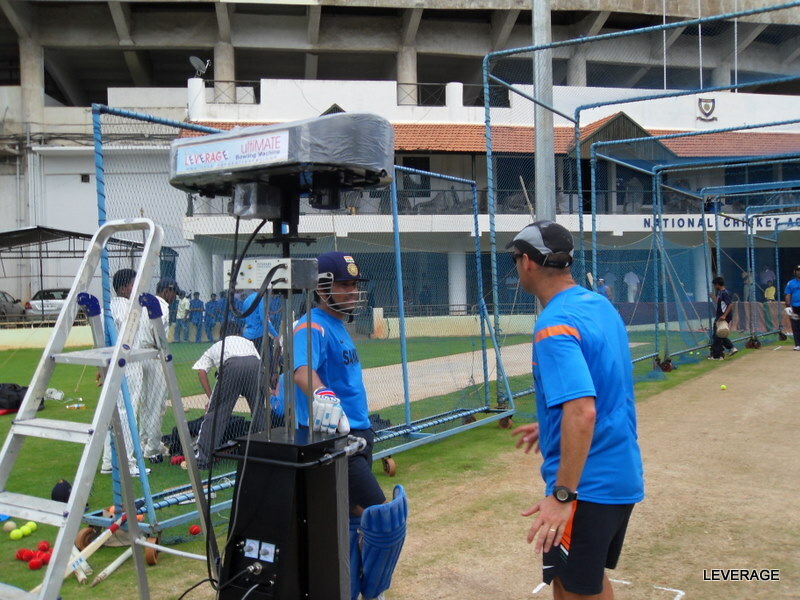 A bowling machine is set up to deliver a similar ball each time. At the precise moment that the ball is put into the machine the Coach calls a number which stands for an area of the field. Starting with four points on the compass, a shouted ‘one’ might stand for hit this square on the off-side, a ‘two’ for hit it to mid off, a ‘three’ for loft it over mid-on and a ‘four’ for square leg. The object is that, whatever the nature of the ball, wherever it pitches or would have pitched if allowed to do so, the batsman must hit it to the nominated area. A large selection of shots can be played to a similar ball and hit to the same part of the ground. Direction ‘one’, through point, can be reached by a cut, a straight drive preceded by a step to leg, a cut off front or back foot, a reverse sweep, a switch hit. As skill in this exercise increases so do the number of target areas: from ‘one’ though slip to ‘twelve’ down to very fine leg. And as we saw yesterday the importance of the third dimension means that some targets call for lofted shots. 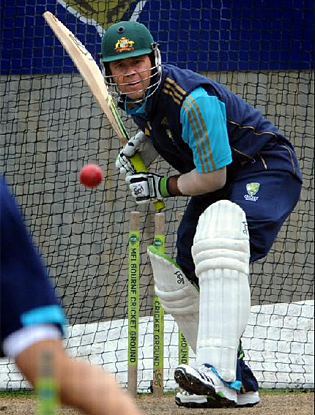 ‘Six’ may require a shot over the bowler’s head; front foot, back foot, straight bat or horizontal. Maybe when the cricketing marketeers get hold of this they’ll see an opportunity for winter television. Pietersen plays Dilshan, both pitted against Merlyn with runs given for hitting targets randomly selected and called out by ERNIE and adjudicated by Hawkeye. Wait a minute. Third Man thinks he’d better stop there and phone his patent and trade mark lawyers to register ‘Rock Around the Clock’.